Curt Stonerook is skilled in all things construction. You can often find him working as a construction laborer and skid loader operator. 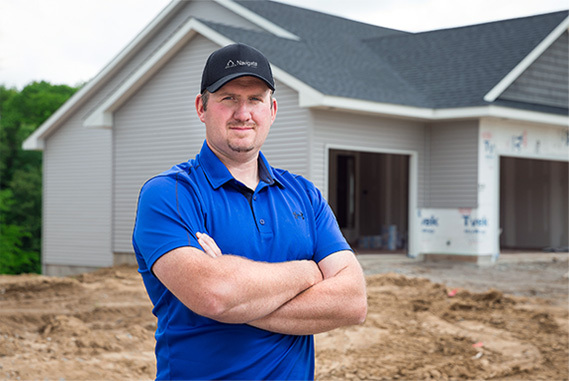 Curt’s driven personality and team spirit makes him a great addition to any construction project — he’ll do whatever it takes to make your vision become a reality. Curt lives in Tipton, Iowa with his girlfriend and three daughters. When he’s not working, Curt enjoys spending time outdoors hunting, fishing, and camping on the Cedar River. In the fall you can find him at Kinnick Stadium tailgating and cheering on the Iowa Hawkeye Football team. Curt advises anyone who is looking to build a home to do whatever your heart desires. He dares clients to be unique — build your dream home; not what everyone else wants. Favorite room in the home: This is a tough one. I love my basement, as that’s where my man cave is. I also enjoy spending time in my shop — it’s where I keep all my auto mechanic stuff.